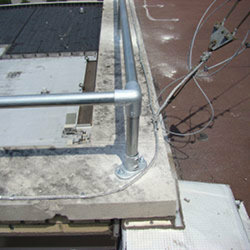 Low impact if mounted on a parapet. 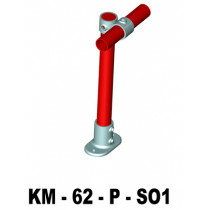 A hard to tamper with solution. 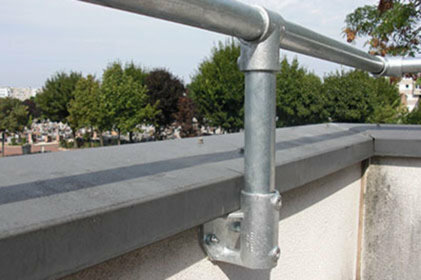 Why a fixed guardrail for your roof? 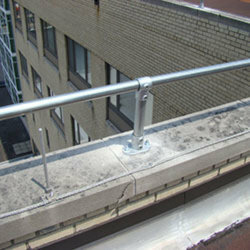 Mounting a guardrail directly to the top of a roof parapet or on the side of a wall is a cost-effective way of providing rooftop perimeter fall protection. 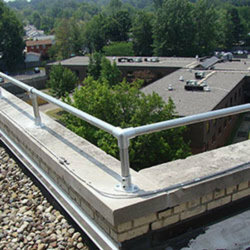 The handrail can be fixed onto the parapet or on the side. 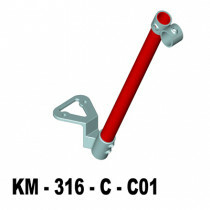 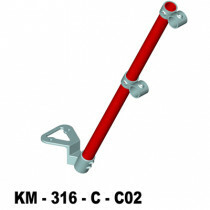 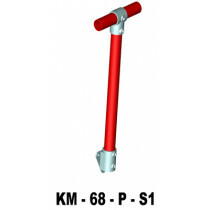 It is made of galvanised Kee Klamp fittings, which makes the system easy to install, resistant in the harshest environment and straight forward to fix should it ever need to. 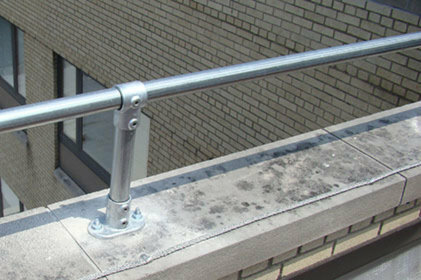 Side fixed handrail takes up little space and when mounted to the parapet there is usually no risk of damage to the waterproofing. 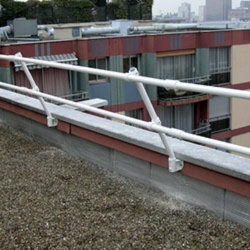 By fixing the guardrail to the side of the parapet, you reduce the visibility of the system from ground level. 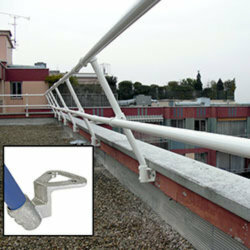 The easiest way to bring any parapet up to the 1.1m barrier in order to satisfy the requirement of the HSE. 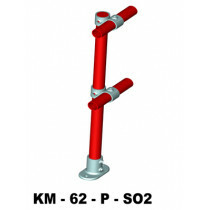 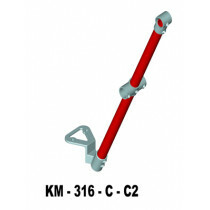 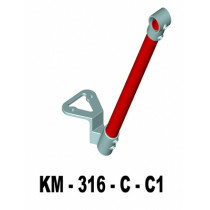 Can be purchased with a variety of bases to suit different requirements. 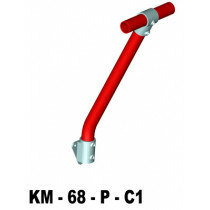 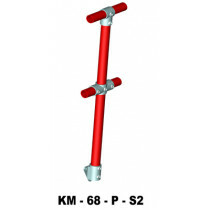 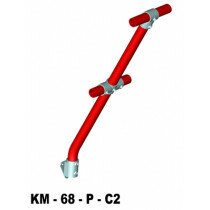 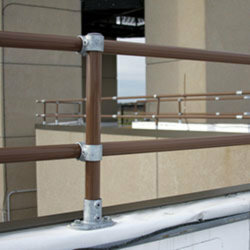 Interested in a roof fixed handrail? 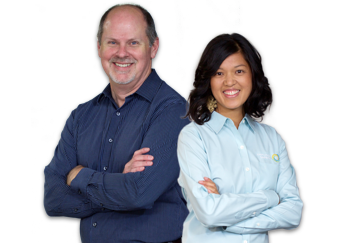 Get in touch and receive a quote.